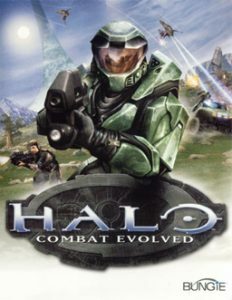 The other day I bought a brand new copy of the 2001 classic HALO – Combat Evolved for Windows. I really liked this game and played it on the original XBOX quite a bit – even thought I must admit that I neither liked nor got it the first few times I picked it up. A colleague told me to stick with it, and I began to love it over time (probably when I “got” the story and the controls). Fast forward 16 years and I thought, perhaps I’ll pick it up again. My HP Z600 with Windows 10 next to the TV is extremely capable hardware for this type of entertainment. Imagine my disappointment however when the game installed fine on Windows 10, but refused to start. Nothing doing! I ran it as Administrator, went through all the compatibility options, but nada – HALO did not want to start up. Monkeytrumpet, I thought. Thankfully we have the internet, and I soon came across an article that explained that I needed to download Patch 1.10 of the game from the Bungie website. A 16 year old game is still supported with updates? Go figure! Here’s the link to that patch. Thanks for posting. I just wanted to visit memory lane and ran into the same issue!